Among the most exciting new arrivals in Boston this year are SRV and Yvonne’s, and the JBF has taken notice. Some regulars repeat this year: Maybe 2017 is finally the year Oleana can claim an Outstanding toque: Both executive chef Ana Sortun and pastry chef Maura Kilpatrick are up for their respective categories again. Top chef in our hearts, Karen Akunowicz, is up for the Best Chef Northeast title for a third time; she was a finalist in 2016. Cassie Piuma of Sarma is also back on the shortlist. The youngest mei of Mei Mei, Irene Li, resurfaces as a Rising Star Chef contender this year, too. Garrett Harker and his legendary Kenmore haunt, Eastern Standard, are well represented again with nods for Outstanding Service and Best Restaurateur. Down Commonwealth Ave., Uni partners Ken Oringer and Tony Messina could also take awards this year, and so could Alex Crabb of Asta. Cambridge restaurants Shepard and Loyal Nine are on the map, as well as Easthampton destination Coco & the Cellar Bar. Portland, Maine, proves itself to be a dining destination, with an impressive seven establishments honored in the small city, including another nomination for Eventide Oyster Co. chefs Andrew Wiley and Mike Taylor in the Best Chefs Northeast category. We told you Drifters Wife is worth the road trip: It’s up for Best New Restaurant. Also worth a drive: Portsmouth, New Hampshire, which has a few solid representatives. Elsewhere in the world of drinks: The JBF agrees with us that Katie Gilarde’s wine program at O Ya is exemplary. Ran Duan of the Baldwin Bar has been recognized for his stellar swizzling, and Chris Weld of Berkshire Mountain Distillers gets a shout, too. On March 15, the foundation will announce the semifinalists, and the 27th annual James Beard Foundation Awards Gala is Monday, May 1, in Chicago. 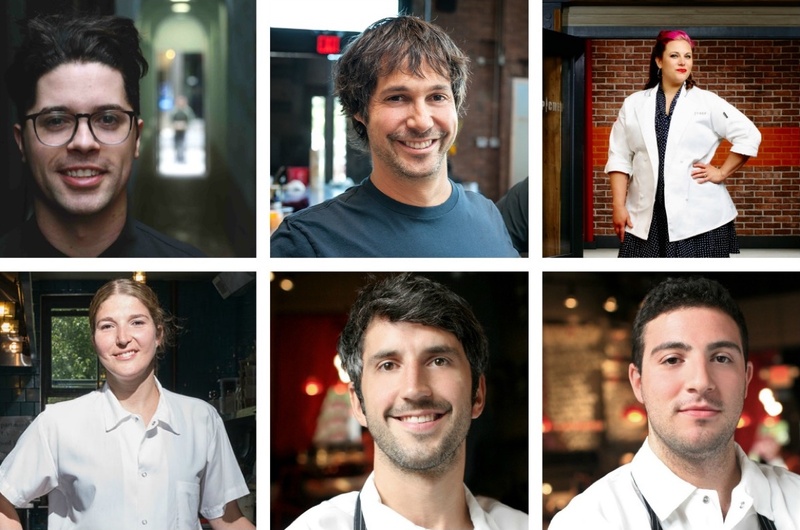 Check out the full list of New England and Best Chef Northeast nominees below.